Using Safari on iMac OS X 10.13.4 I was able to load the login page and view a list of notifications, but if I clicked into any discussion all I got was a white page. 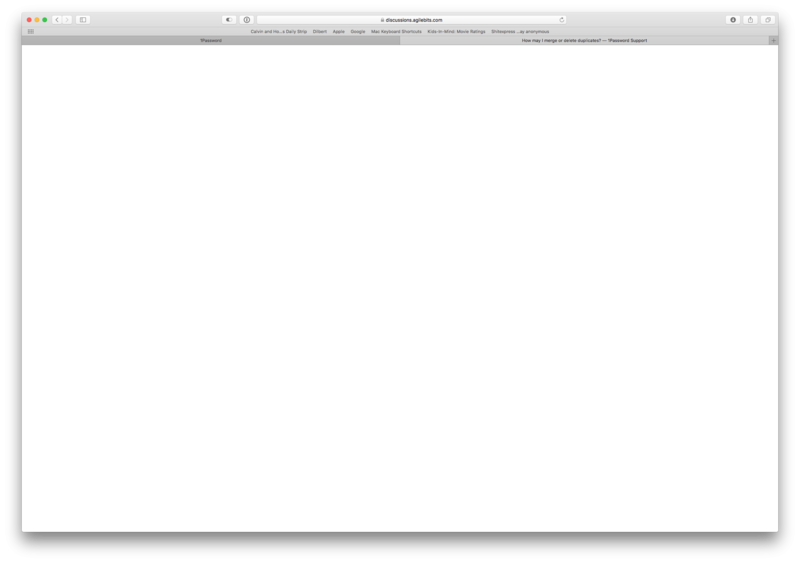 I will accept that this may be a problem with my Safari browser settings. When I opened in Chrome I was able to see everything. Chrome is a great browser, but please share with me ideas on how I may be able to use Safari to get into discussions (not be limited to Chrome). I have a screenshot, but from this initial question I don't see how to upload the screenshot. I will see if the option appears after I post this question. This image is the screenshot of my Safari browser not working well with the support forum when I go to open a discussion. I borrowed a MacBook Pro from somebody else and with Safari on this borrowed Mac I am able to see this discussion and am not limited to Chrome. On my iMac at home I do not know of a "reset" Safari option (I read that it used to exist but was removed) and on Mac OS X 10.13.4 the Safari "privacy" tab looks different than https://support.apple.com/kb/ph21411?locale=en_US. Their link may be for an older version of Mac OS X because in 10.13.4 the privacy tab is different. Not sure whether I even need to modify that tab. Do you know the settings I need in Safari to be able to view your discussions pages? My mind is still racing. I have 1Blocker on my mac and on my iPhone. But I can still see everything on the iPhone yet not on the mac. So I wonder whether the ad blocker itself truly is responsible, or whether it's server settings. Do you know the settings I need for your site? 1Blocker has a feature that blocks comments, including the ones on this site. Please try disabling that. That did it. Thank you. This may be closed.